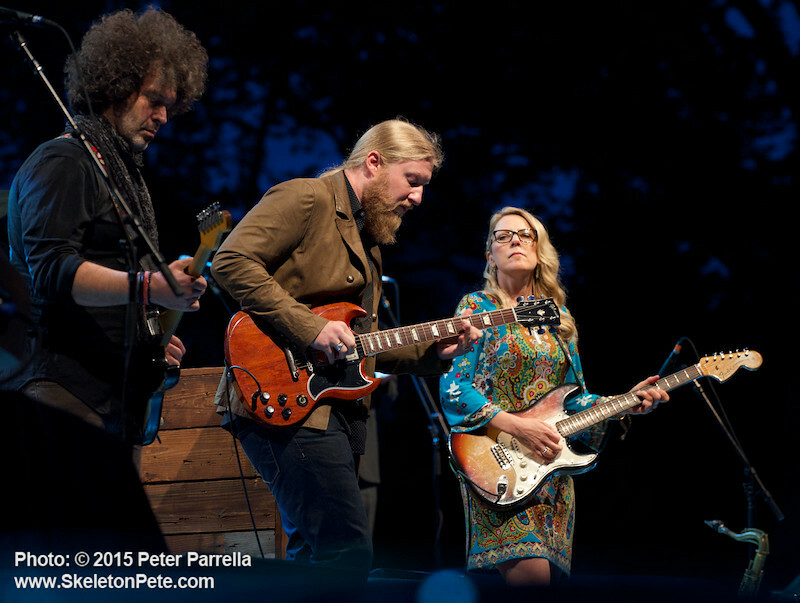 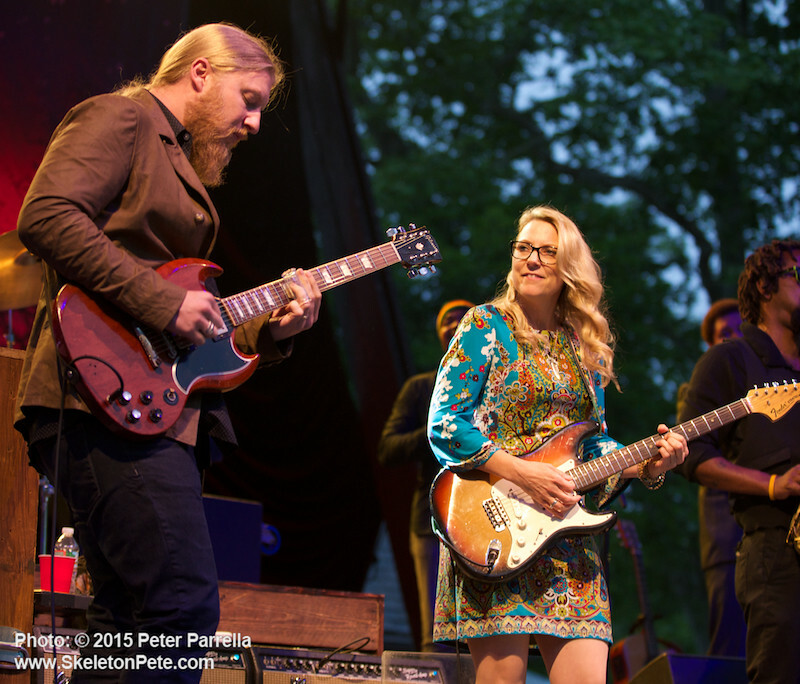 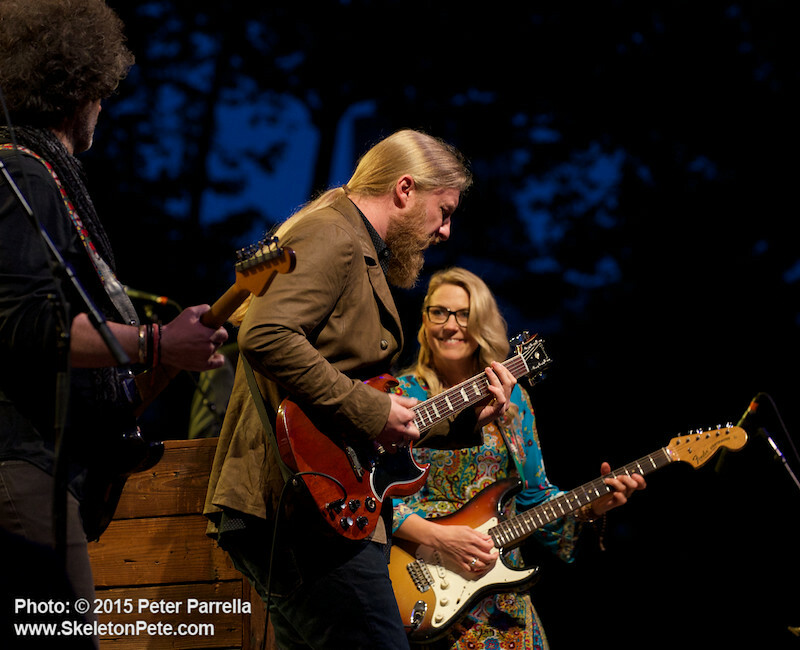 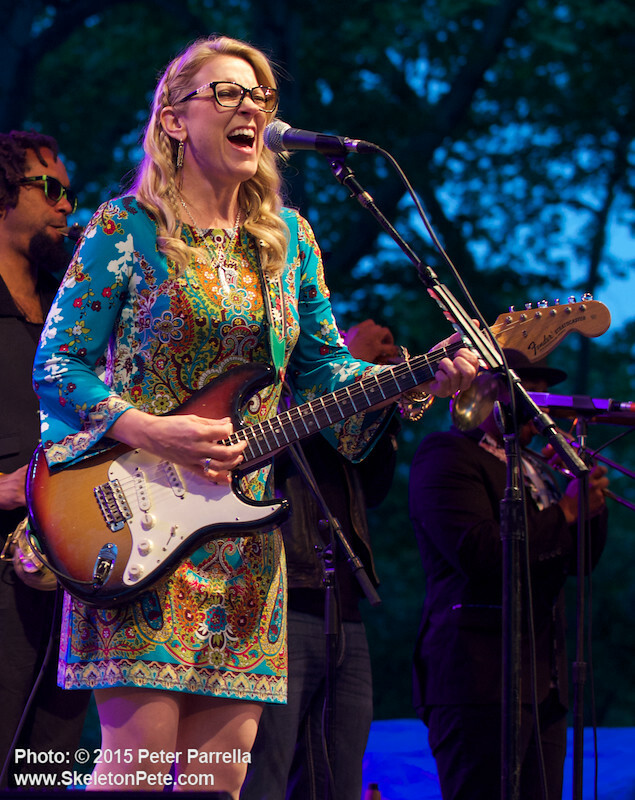 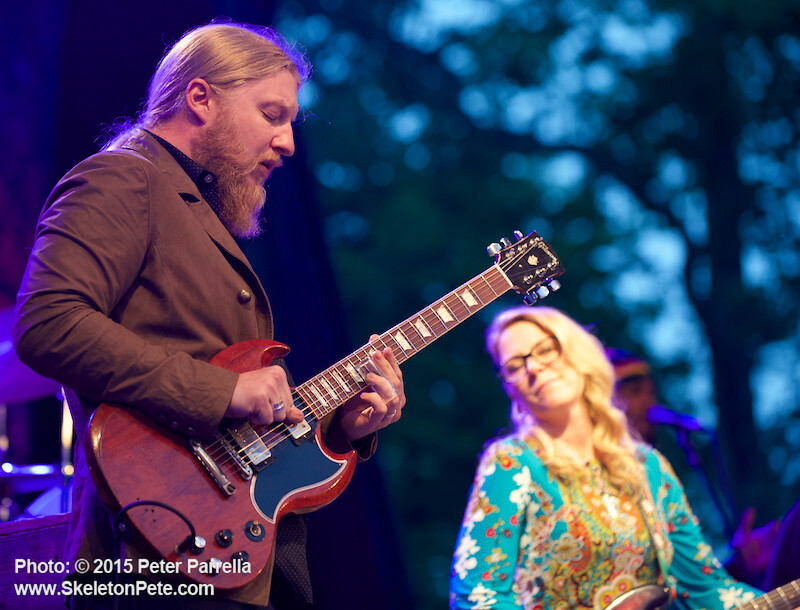 Tedeschi Trucks Band: Derek and Susan roll out some prime tunes at Central Park SummerStage premier. 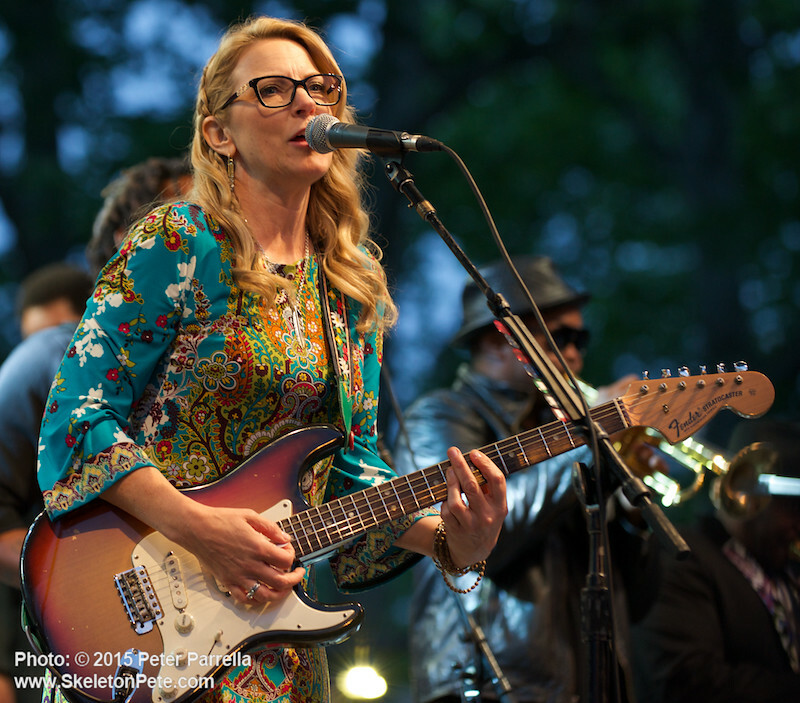 “Embarrassment of riches” is a phrase that always comes to mind when I do my annual overview of the spring and summer music scene in New York City. 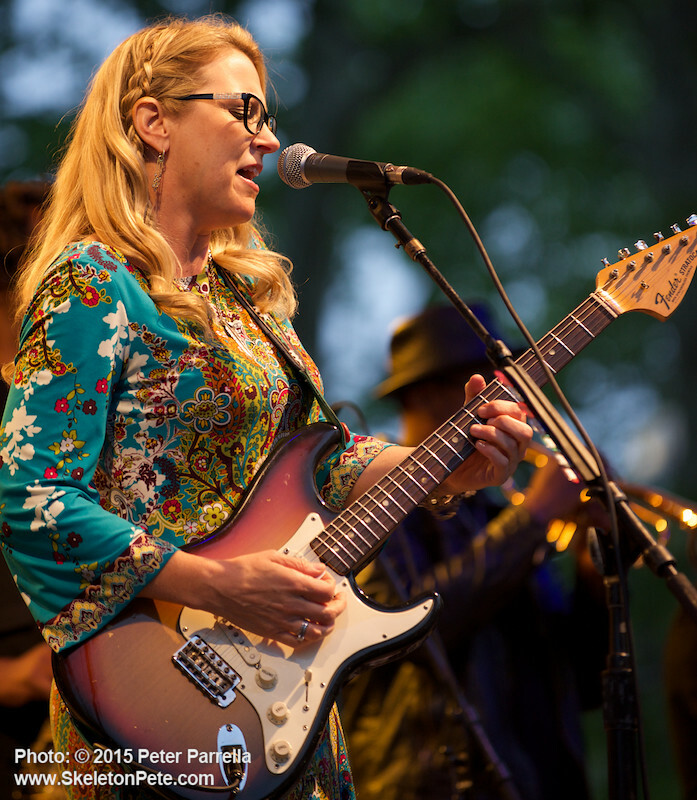 These outdoor concerts feature a treasure trove of listening opportunities that when amassed across a short three month period is not only mind boggling but for the most part offered FREE to the general public. 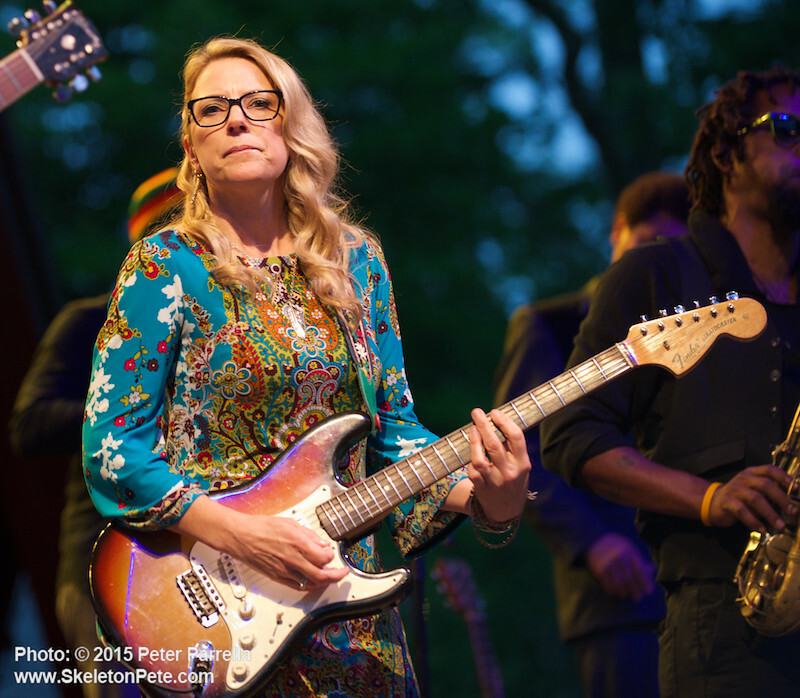 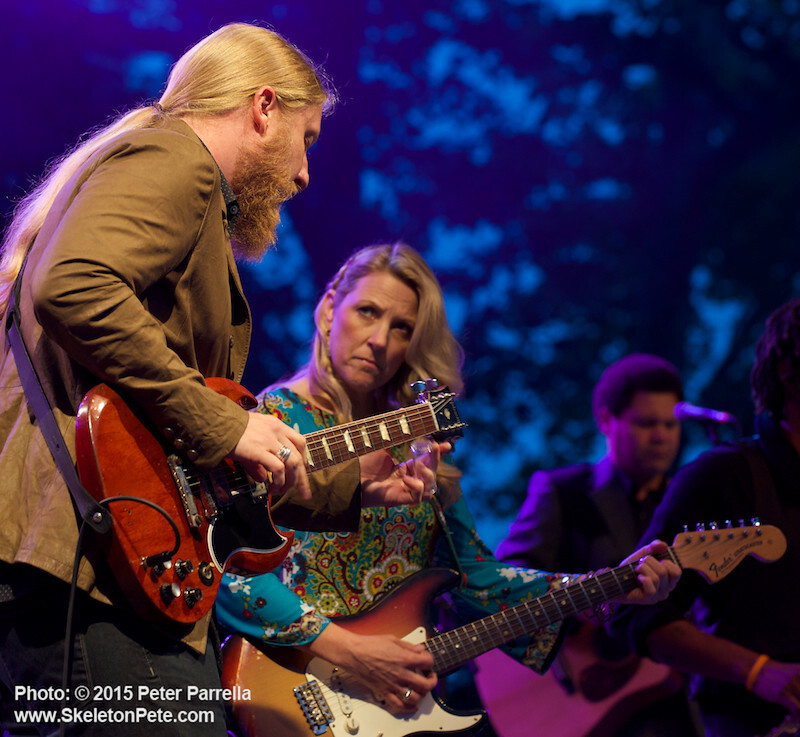 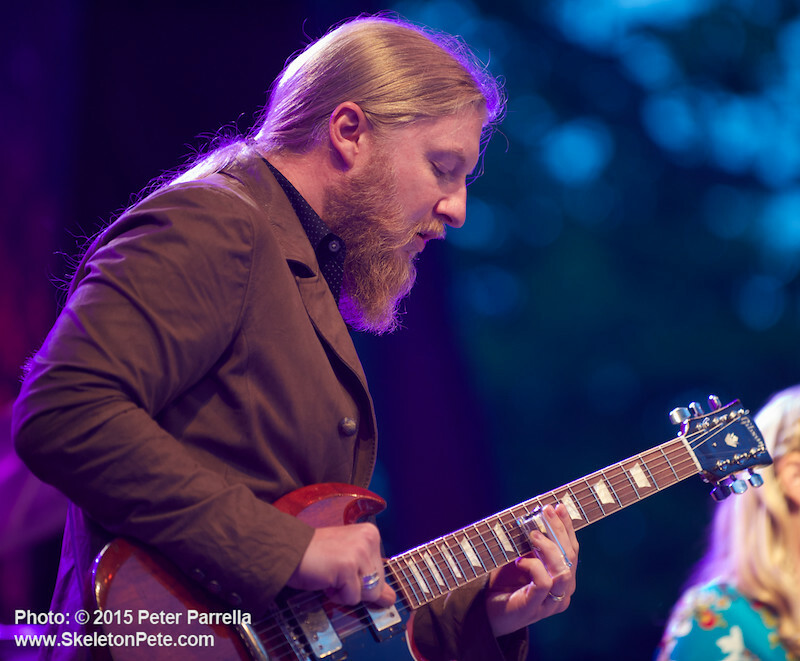 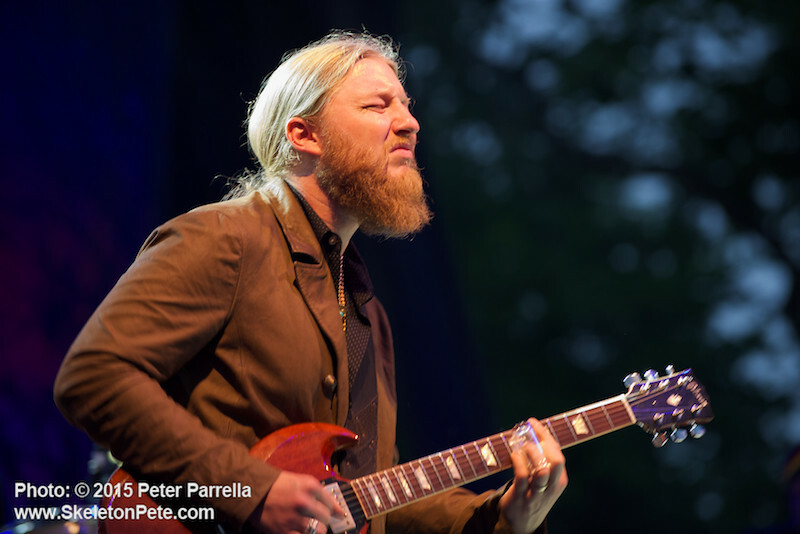 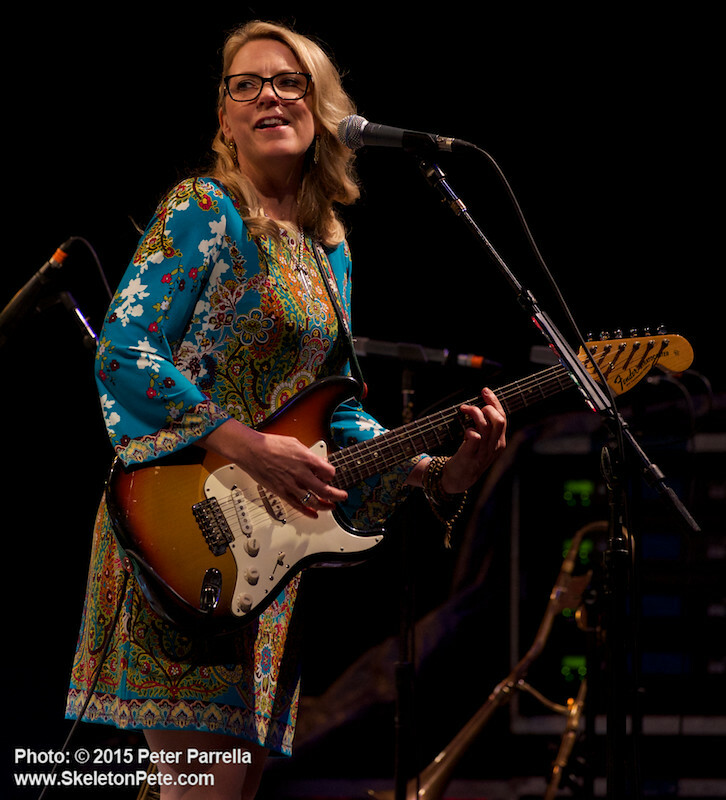 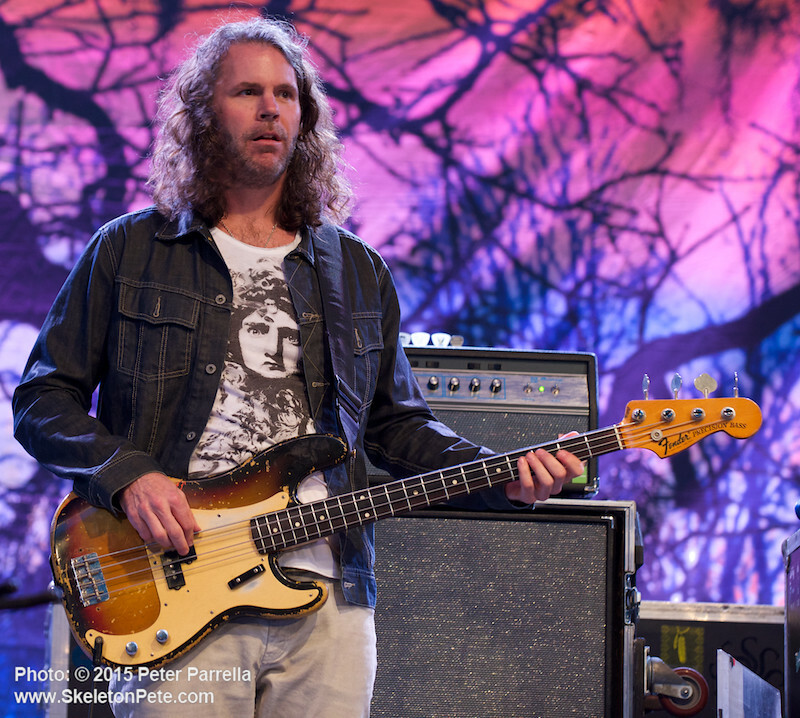 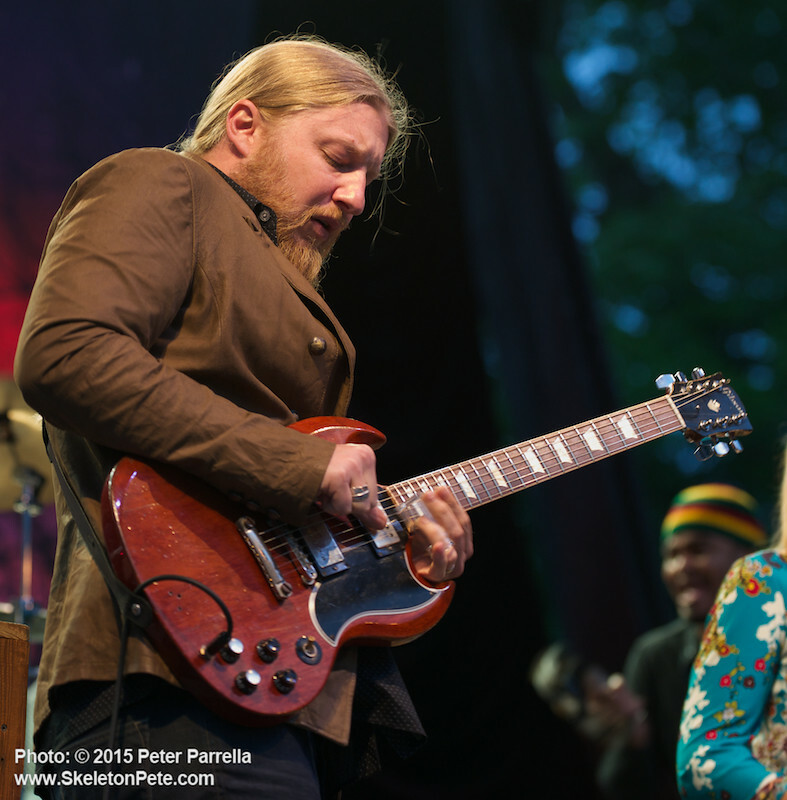 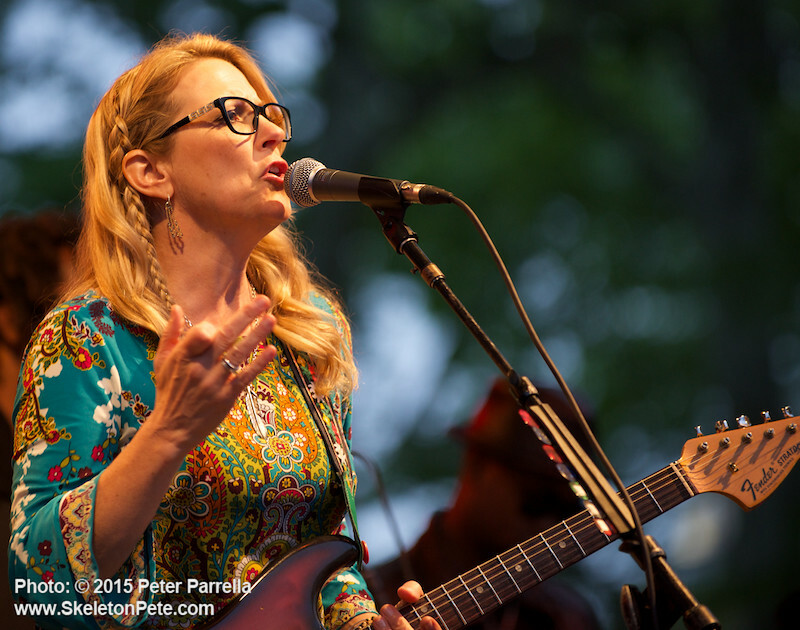 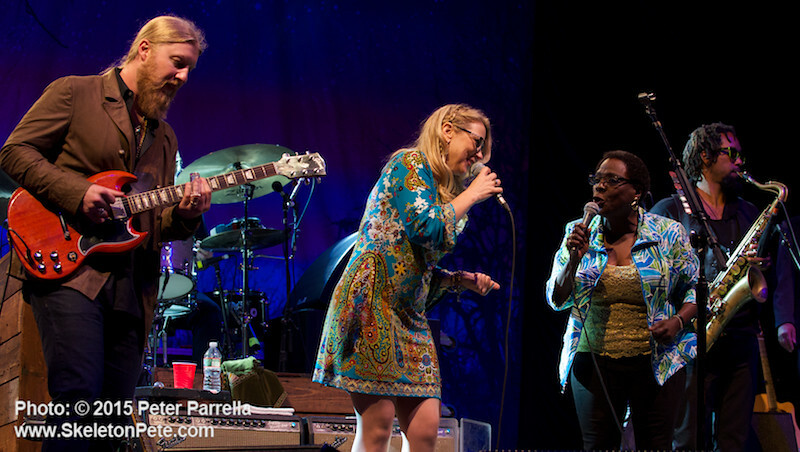 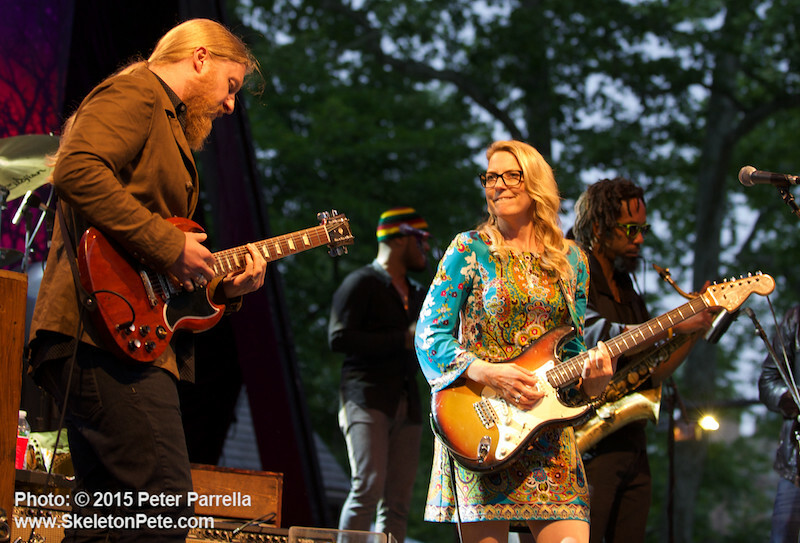 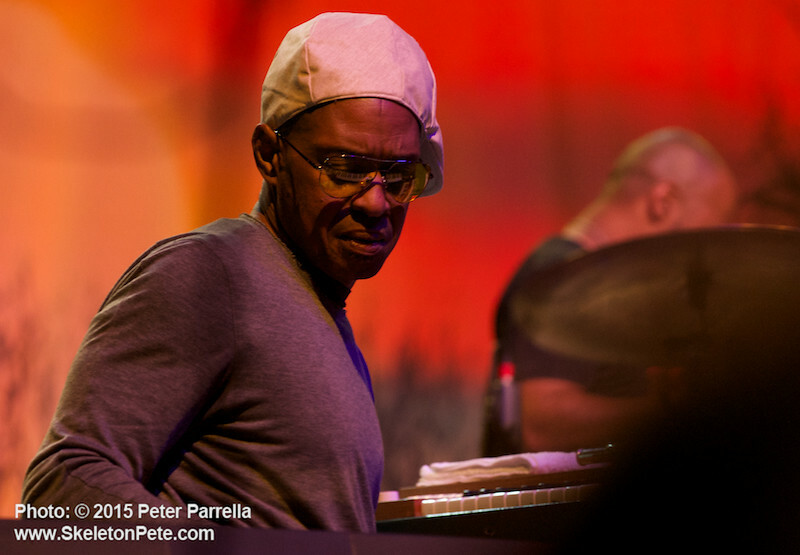 On May 18th, The City Parks Foundation launched its 30th Central Park SummerStage season with a great show by what I think is the quintessential American band of our time, The Tedeschi Trucks Band. 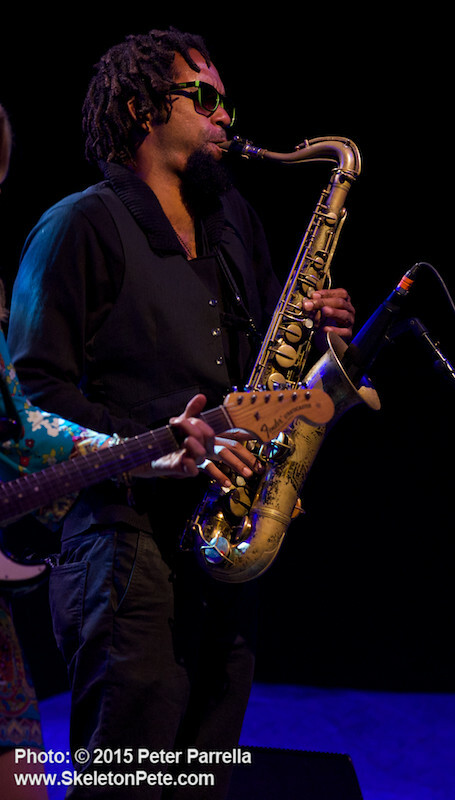 They are also currently my favorite band. 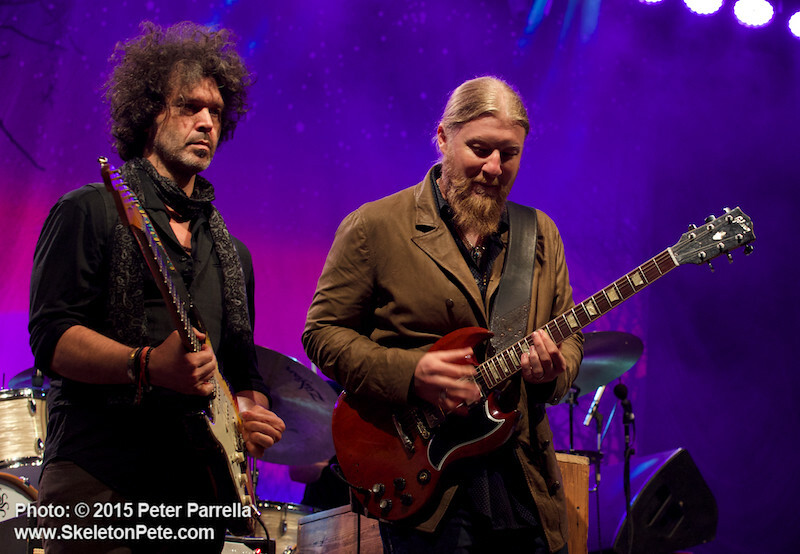 You may have already read my rhapsodizing about why I love them here and as far back as my Crossroads Guitar Festival 2010 BluRay review on PiercingMetal.Com. 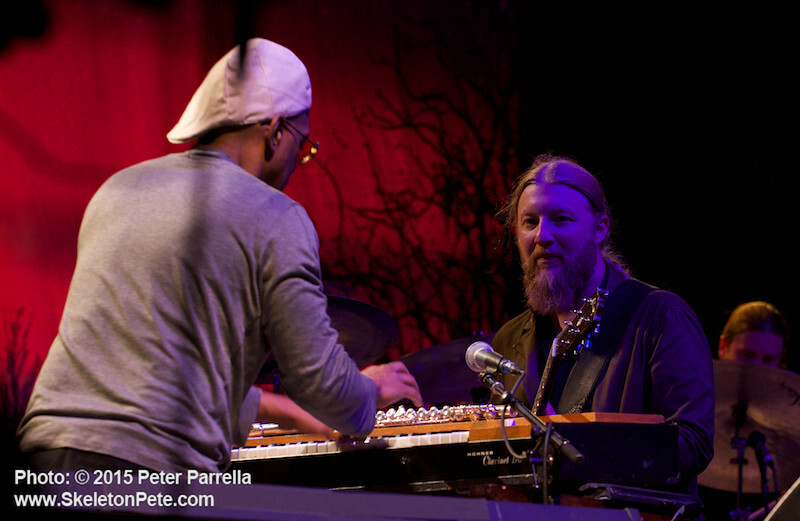 I’ll give you the spiel anyhow. 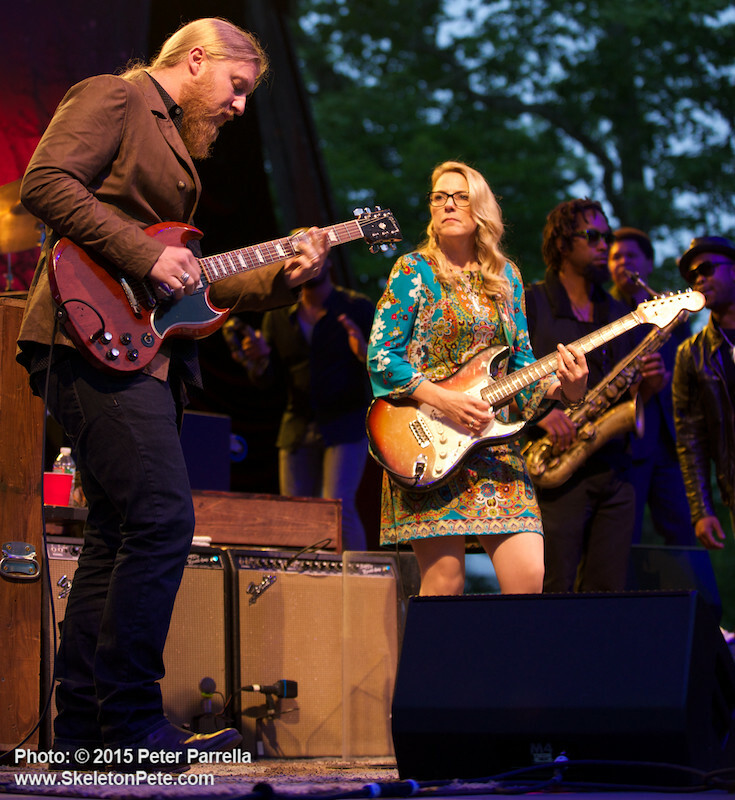 By design, TTB is a 21st century Delany and Bonnie and Friends with a twist of Joe Cocker’s Mad Dogs and Englishman. 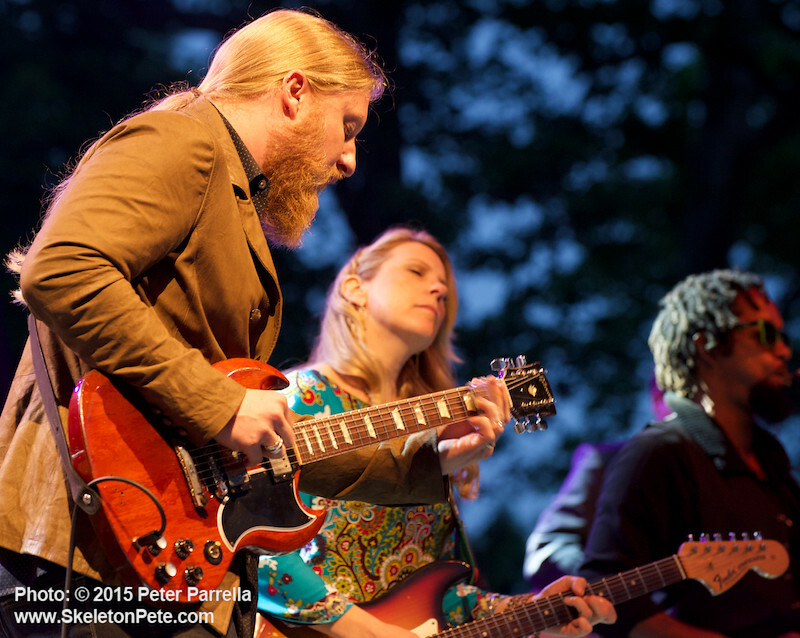 Those bands form the roots of a tall family tree that includes Derek and The Dominoes, Leon Russell, Rita Coolidge, The Grease Band, mid-period Rolling Stones and George Harrison’s masterpiece, the All Things Must Pass album (1970). 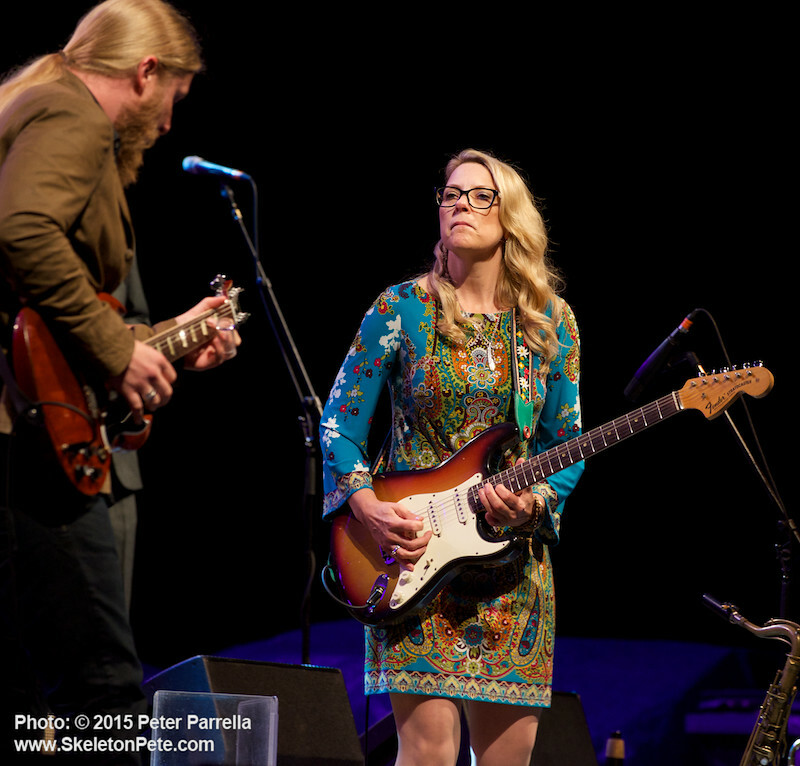 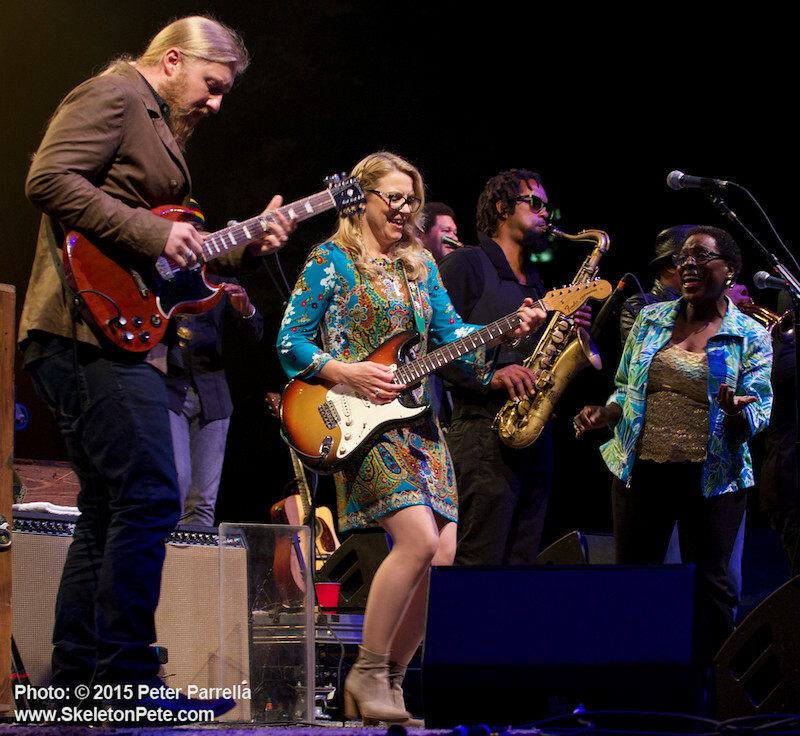 Though the namesake of wife and husband Susan and Derek, TTB is also the vehicle for a boatload of musicians who could equally front their own bands. 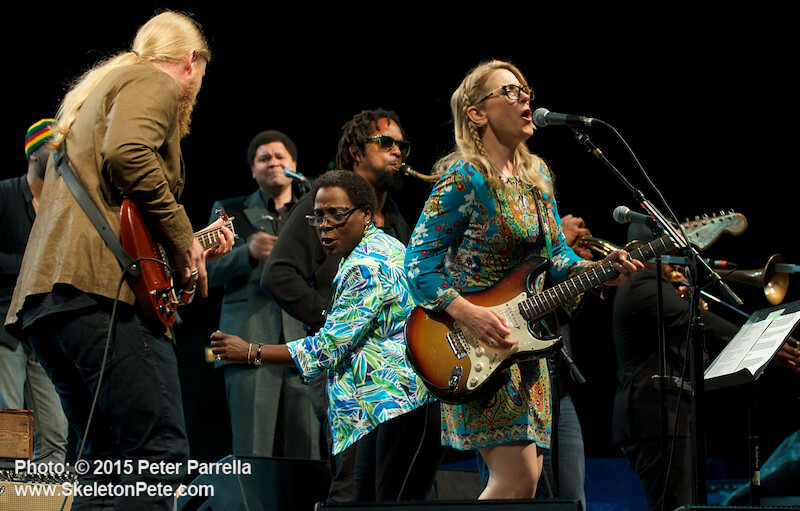 These are 11 amazing players, vocalists, and songwriters who make what appears a juggernaut run like a Ferrari. 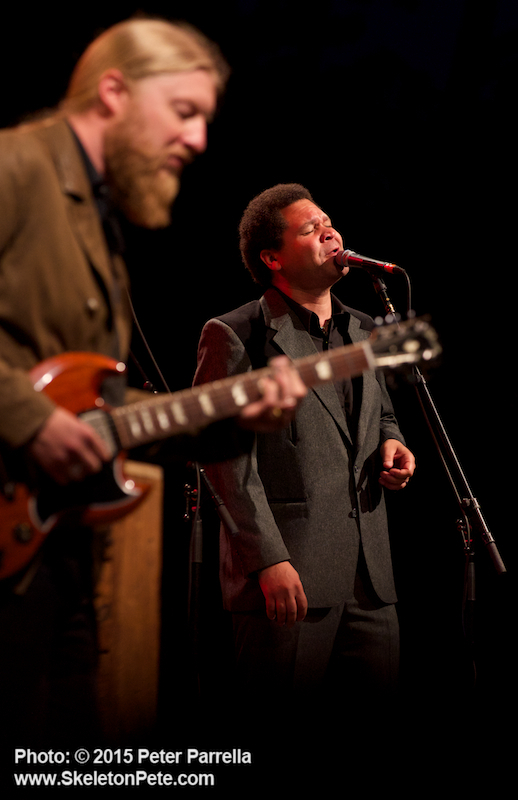 Singer & Songwriter Mr. Mike Mattison, takes his turn on vocals. 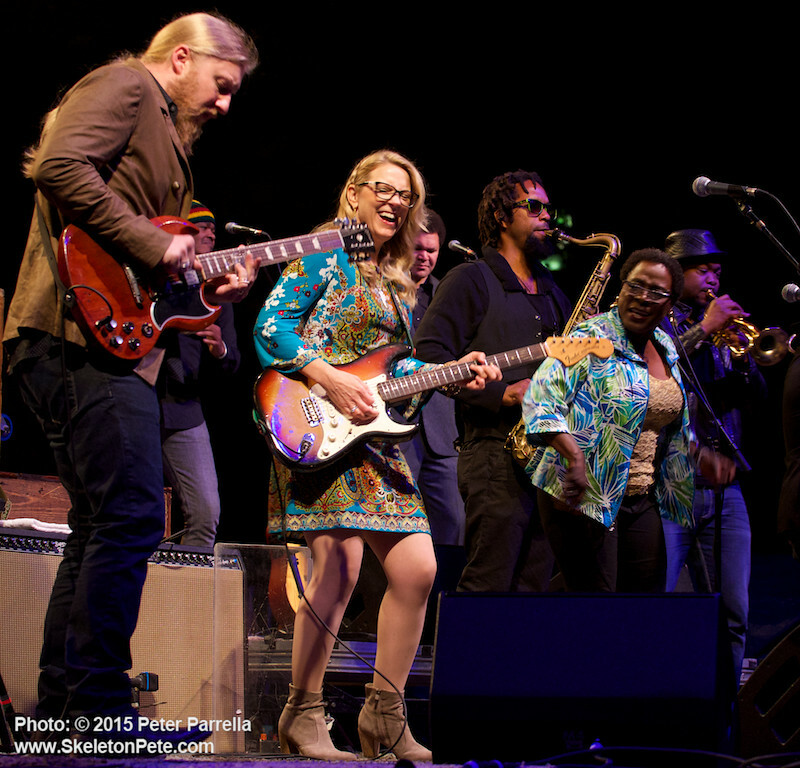 Strains of blues, gospel, free jazz, southern soul, and “Americana” run through the veins of TTB. 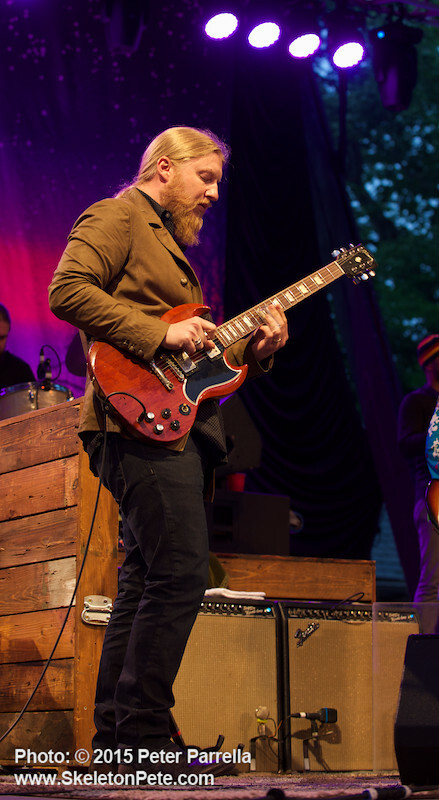 While they embody the ethos of a jam band they also never lose sight of the song in favor of endless extrapolation. 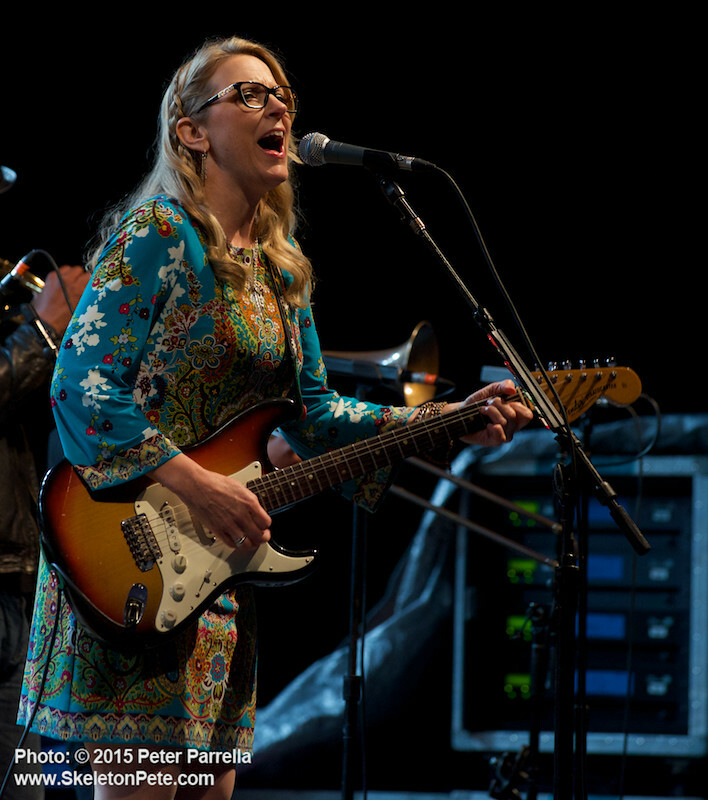 That said, you will find that their studio recordings, while excellent, are merely a starting point for evolution. 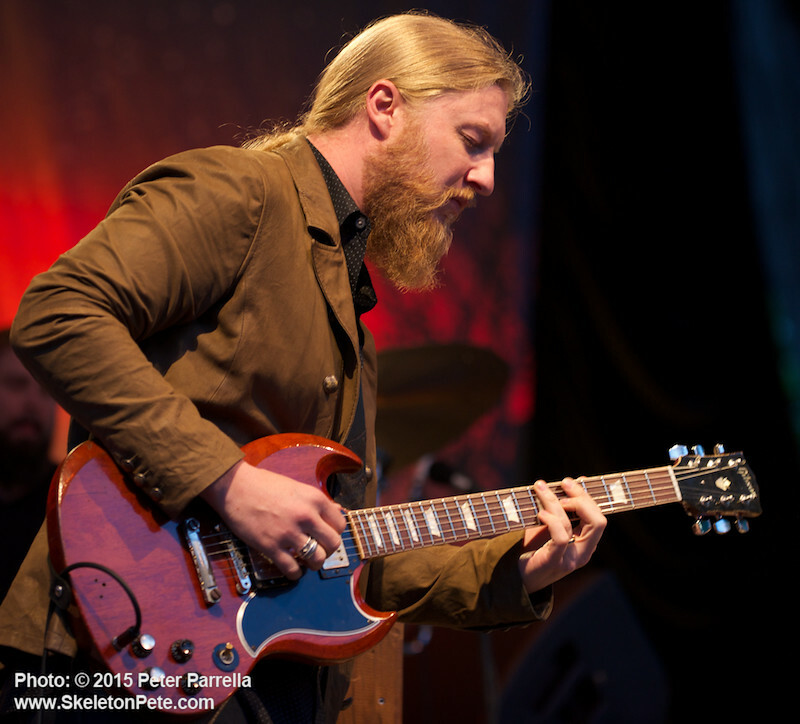 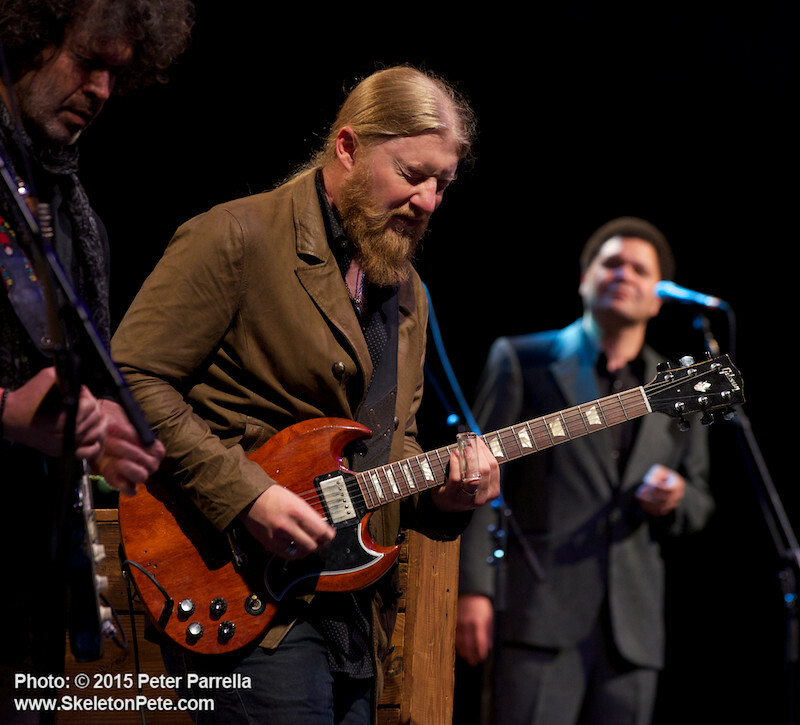 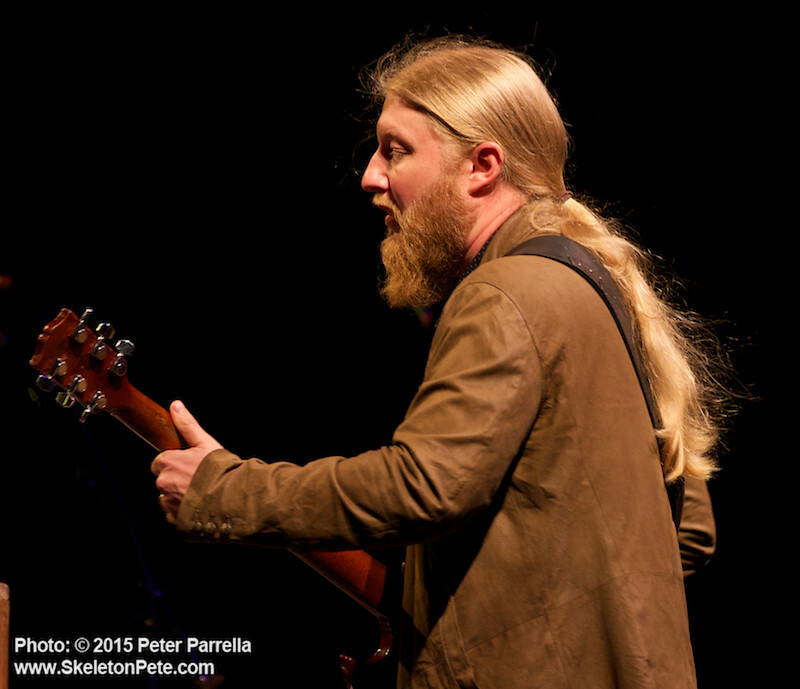 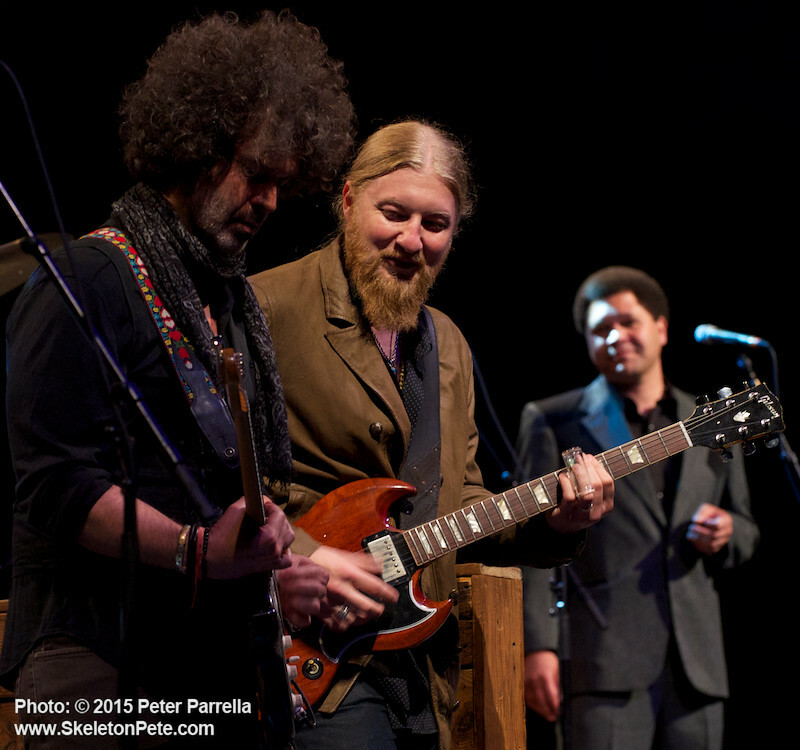 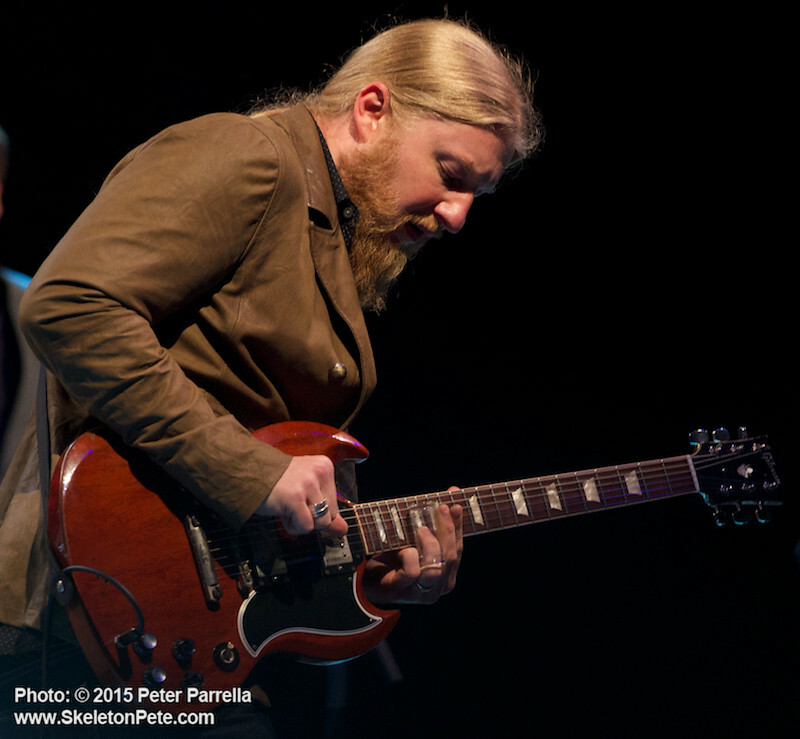 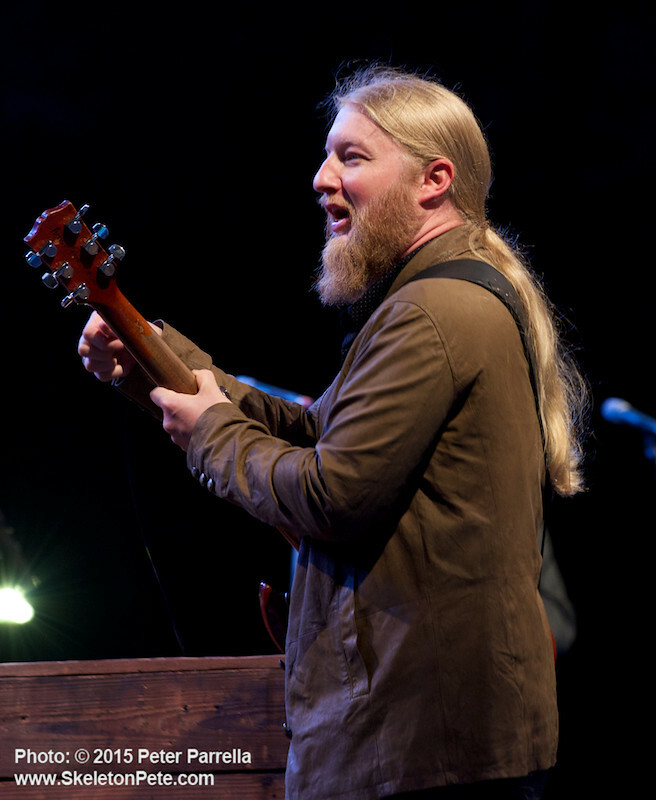 Like The Allman Brothers Band before them the real way to appreciate TTB is live onstage. 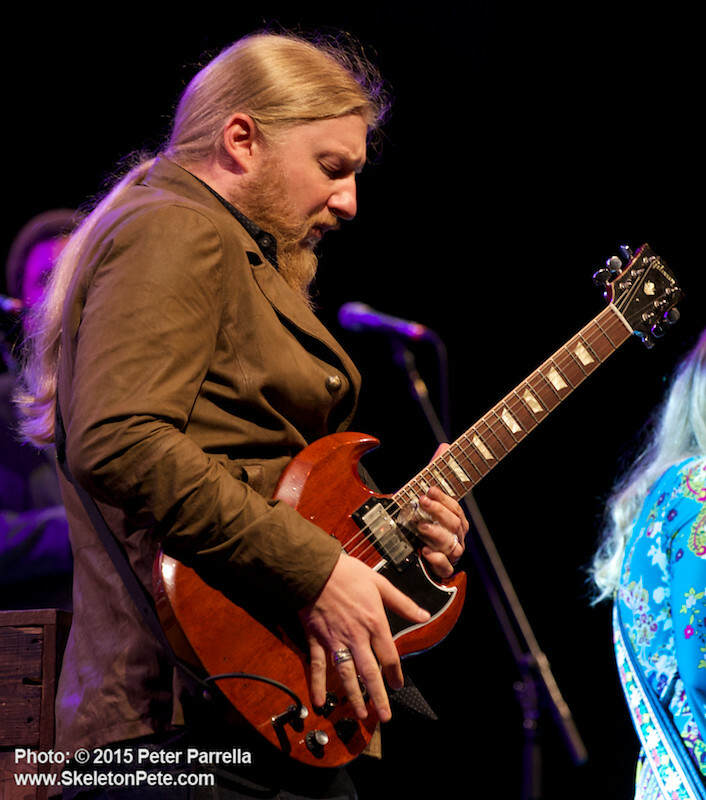 Surprises like opening their swampy barn burner “The Storm” with the coda from Led Zep’s “What Is and What Should Never Be” make the shows exciting and fun for savvy listeners. 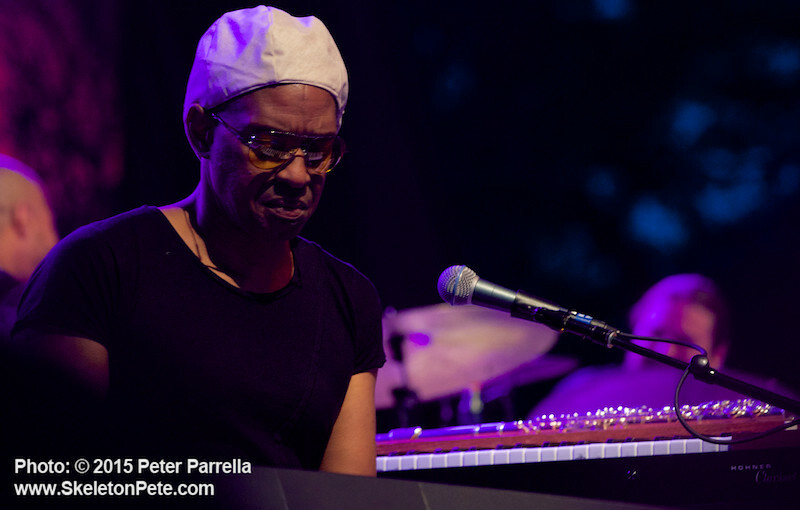 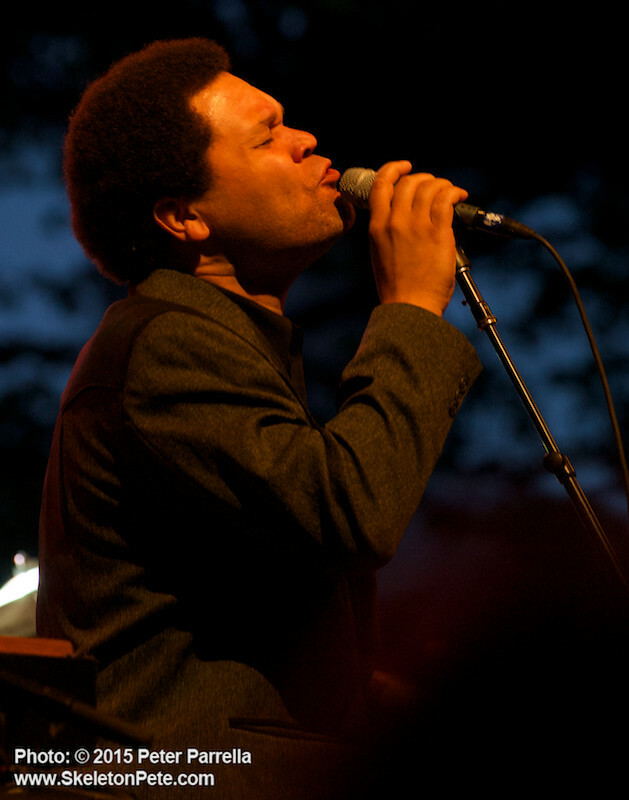 Though a few tunes like Mike Mattison’s “Midnight in Harlem” have deservedly become fan favorites and apparent staples, the group continuously juggles their set-lists to keep things interesting for camp followers and they always pick great cover tunes (from Bobby “Blue” Bland to The Beatles) that inform the audience of their musical lineage. 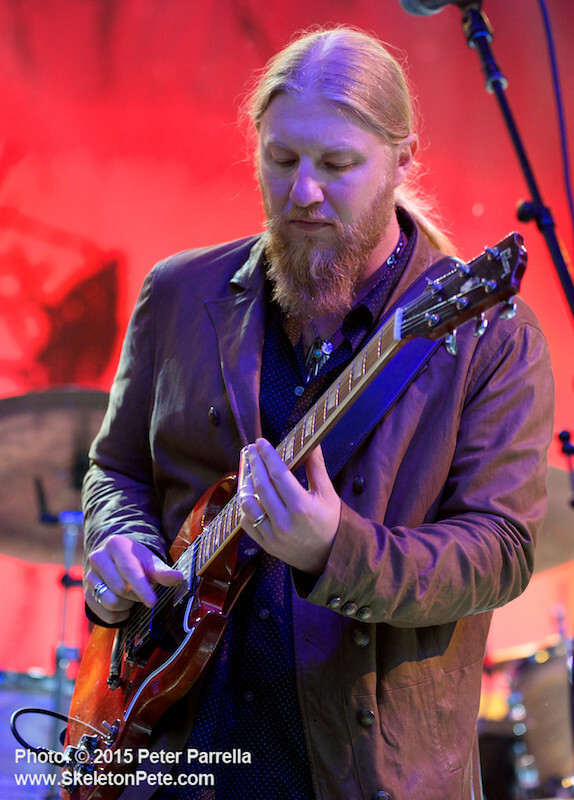 Like the Foo Fighters they are extremely respectful of what came before them, the musical shoulders they stand on, and also like FF they are not shy about shining a light on those progenitors. 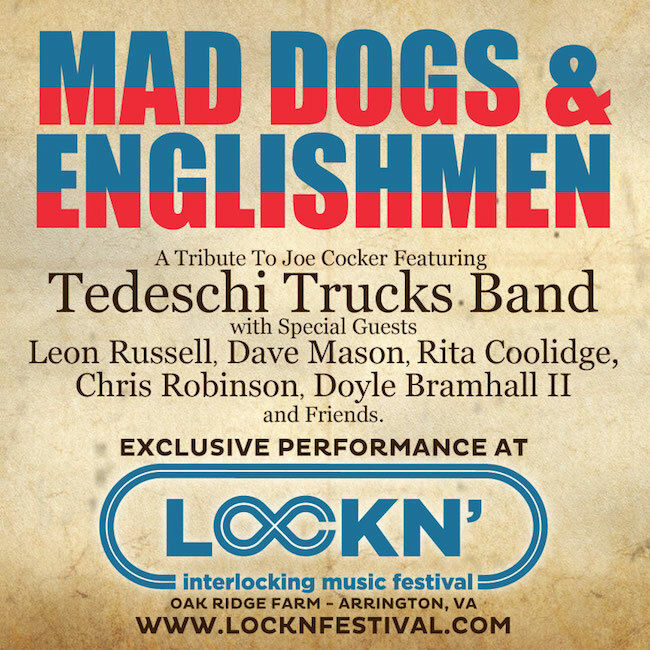 For instance this summer at the Interlocking Music Festival in Arrington, VA., TTB will pay homage to the late Joe Cocker with a tribute concert (including original members) to the aforementioned Mad Dogs and Englishman band. 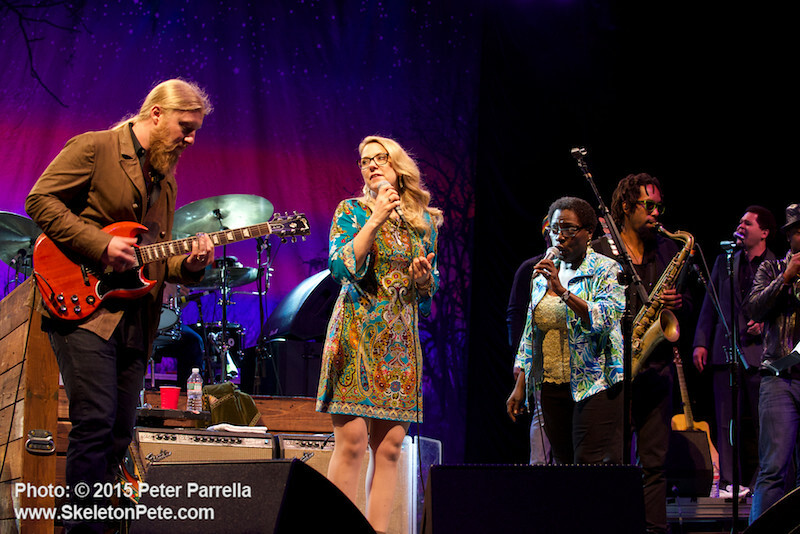 They’ve already regularly played “Space Captain” in the past, but the idea of having this band dive into “Delta Lady,” “Cry Me A River,” “Feeling Alright,” and Dan Penn & Spooner Oldham’s “The Letter” is beyond exciting for this fan. 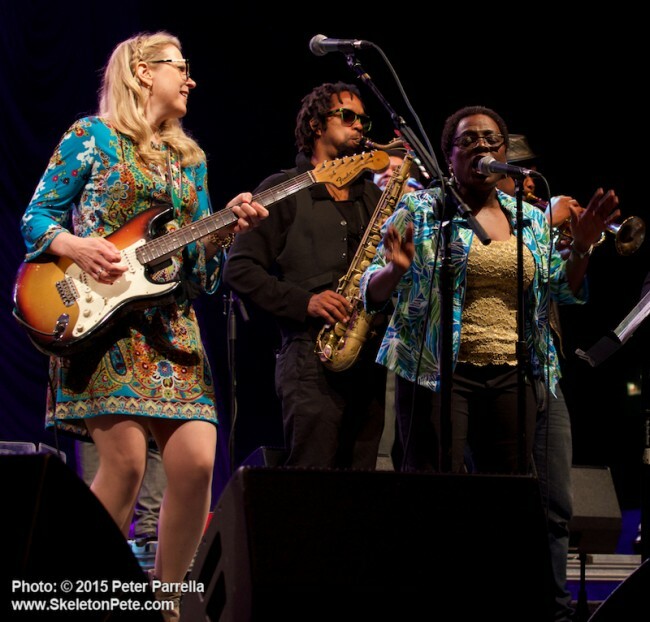 Inviting fellow musicians to join them on stage is also a standard practice. 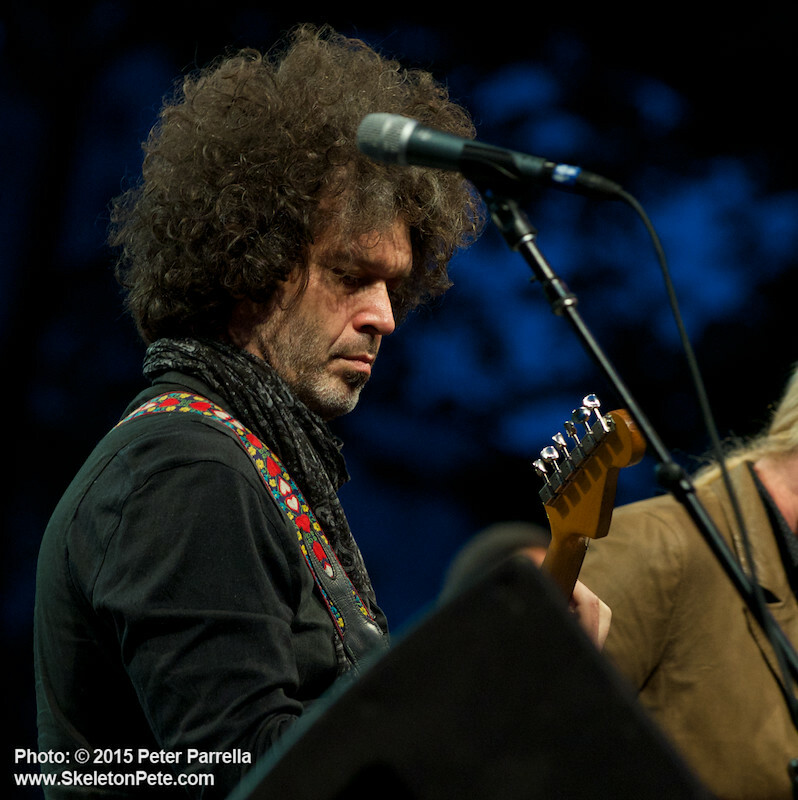 At Summerstage, Clapton cohort Doyle Bramhall II augmented the group for a healthy portion of the set including a funky workout on Derek and the Dominoes’ “Keep On Growing” and blues standard “Key to the Highway.” They also hosted Ms. Sharon Jones who delighted the capacity crowd performing two classic soul numbers, Etta James’ “Tell Mama” and Sam Cooke’s “Bring It On Home To Me.” Jones and her band The Dap Kings will support TTB this season on the “Wheels of Soul” Tour. 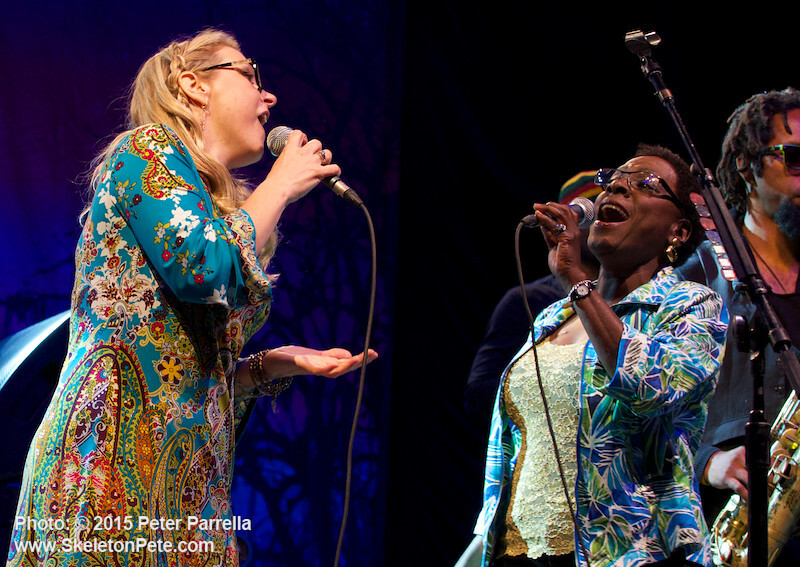 It seems a perfect match, and I suspect we will be treated to many more duets between Susan and Sharon. 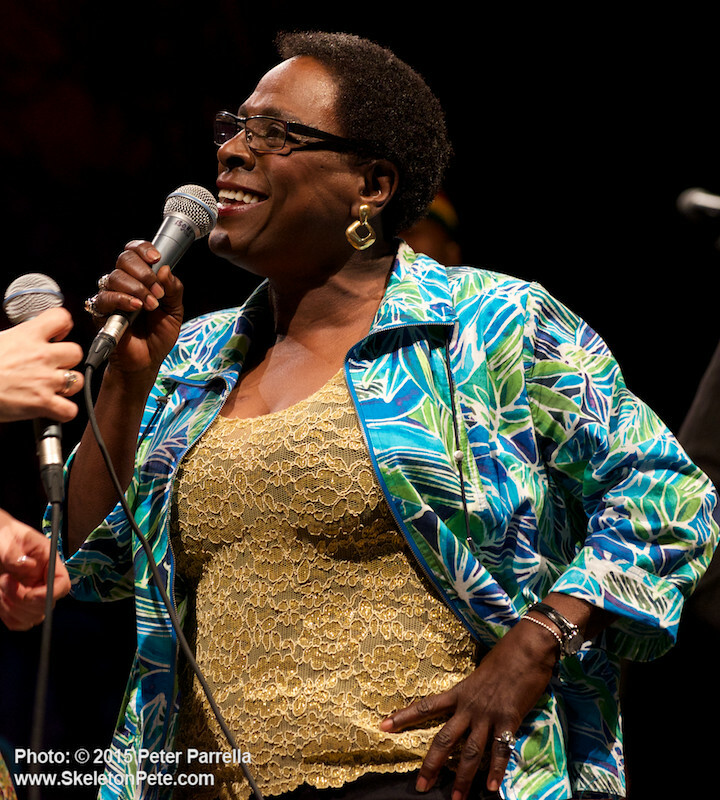 Give that show, and so much more, a listen by exploring the wonderful tapers’ community at the Internet Archive. 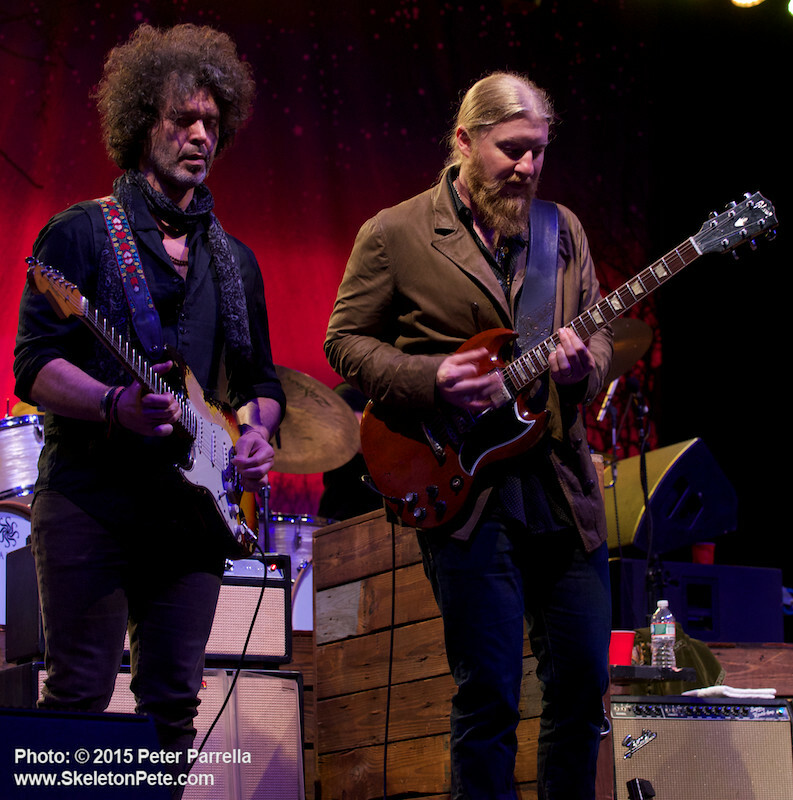 There’s lots of Soulive and Lettuce there too. 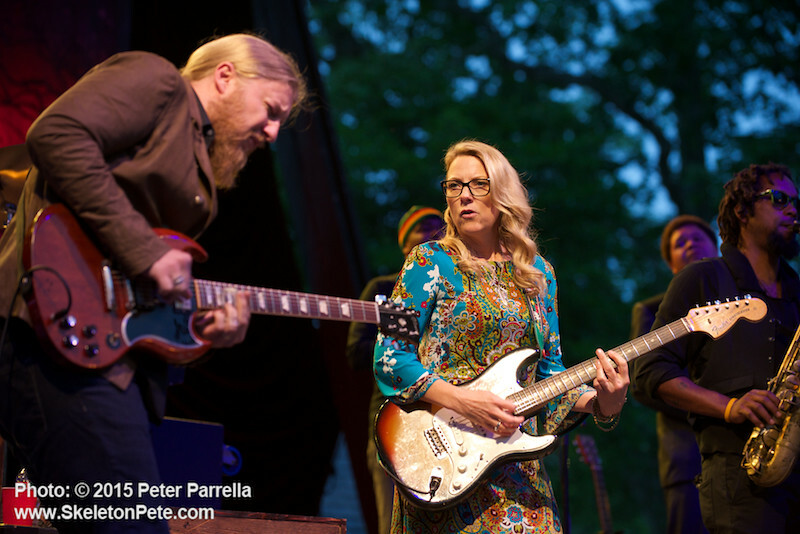 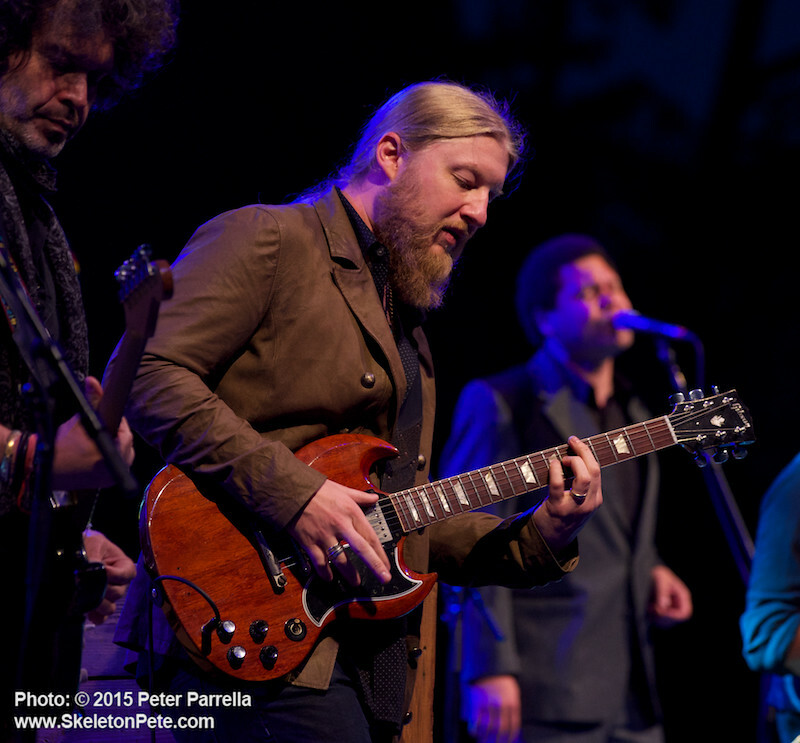 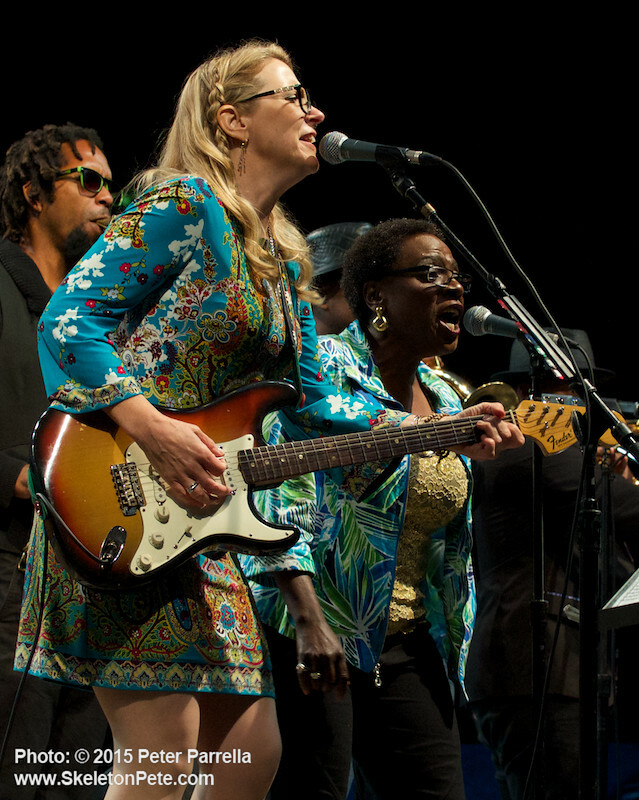 Also, be sure to treat yourself to a ticket or three to see Tedeschi Trucks Band as they tour throughout the year. 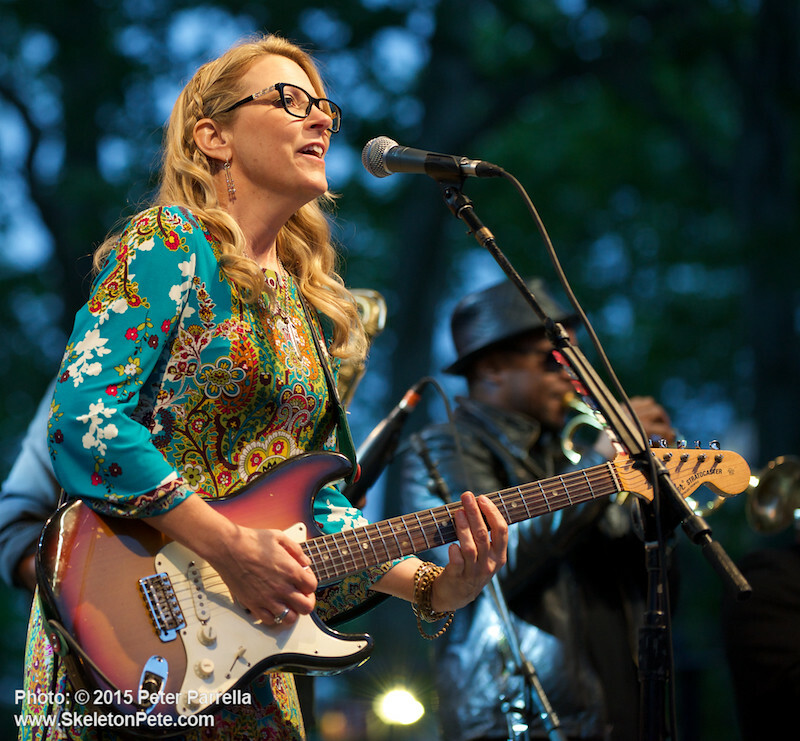 Launching the 2015 SummerStage season, NYC Parks Commissioner, Mitchel Silver presented a mayoral proclamation to City Parks Foundation Board Chair, David Moore and City Parks Foundation Executive Director, Heather Lubov. 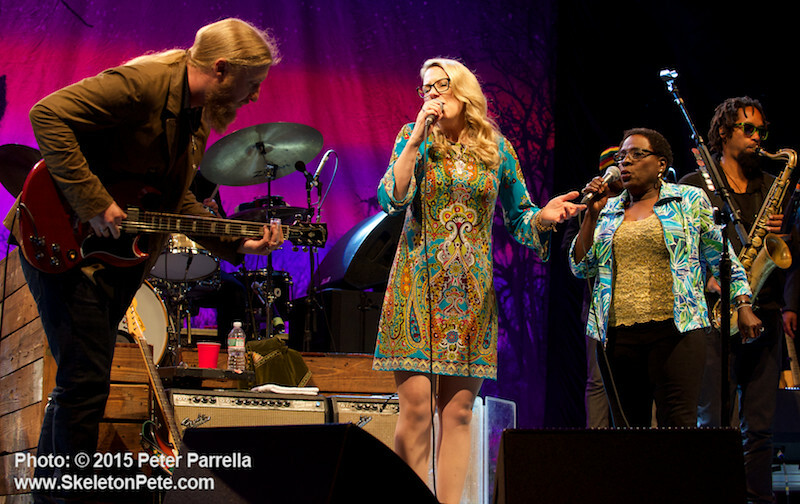 September will see The Tedeschi Trucks Band roll into New York City’s beautiful Beacon Theater for a residency that I hope eventually grows to rival The Allman Brothers’ now legendary March encampments. 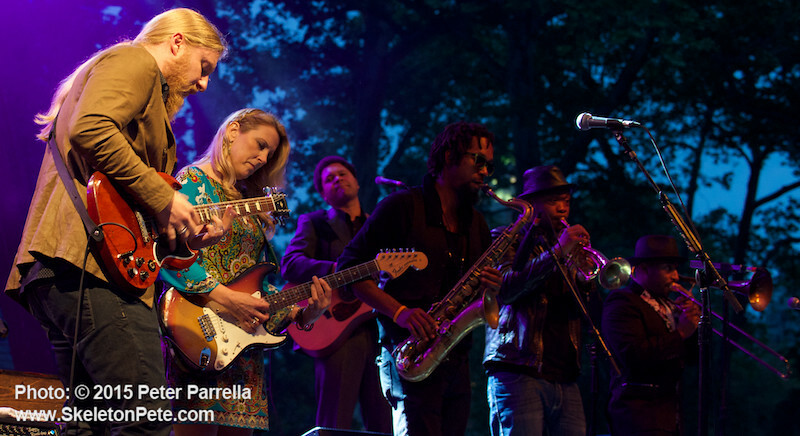 Before that, be sure to check out the schedules of amazing free shows throughout NYC this summer. 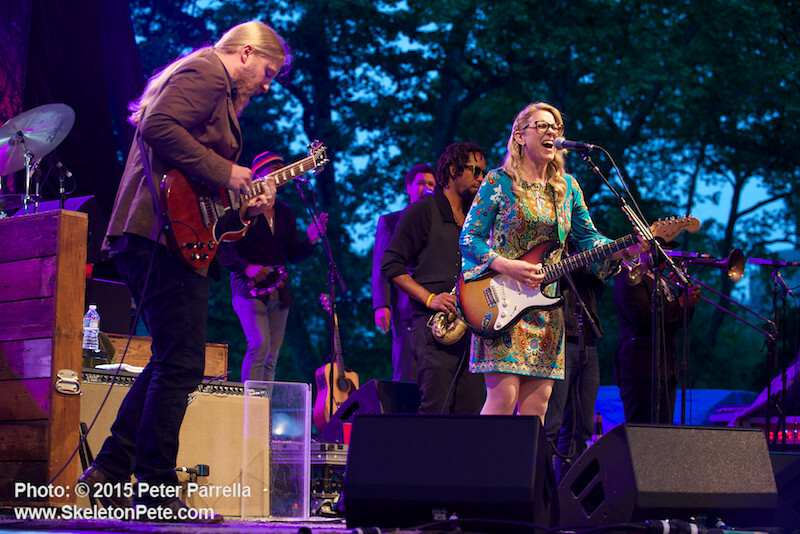 The City Parks Foundation SummerStage offers concerts in all five boroughs, BRIC’s Celebrate Brooklyn series has a great line-up at the Prospect Park bandshell, and City Winery has outdoor shows (5:30 – 7:00 pm) behind the venue on their loading dock (which they like to call Hudson Square Mall) on Tuesday evenings starting June 2.